High voltage electrical shocks can be extremely damaging and even deadly. Working on job sites often presents exposed wiring, wiring not properly installed, and a number of other potential electrocution hazards. Too often, workers are injured on a job site through electrical accidents that cause severe burns, cardiac arrest, and even death. Job sites are often filled with a number of different contractors working to complete the project. This means that an employer is not always the one responsible for an injury at work. If that's the case, then you could be entitled to more than workers' compensation for your injury. Our law firm helps injured people recover the compensation and benefits after they've been hurt in an accident. Electrical accidents can cause serious, life-changing accidents, and without the help of an experienced attorney, you could be stuck holding the bill. If you or a love one has been in an electrical accident, get a free legal consultation now at 1-866-943-3427 or simply complete the form to your right. Get your legal questions answered and get the help you need. Outdoor electrical equipment must be in a suitable enclosure to protect from accidental contact. Unless otherwise permitted, all live parts of electrical equipment must be guarded against accidental contact. The entrances to buildings or rooms containing electrical equipment operating at 600 volts or more must be marked by a sign reading: DANGER – HIGH VOLTAGE – KEEP OUT. Many more standards are listed in Title 29 Code of Federal Regulations, Part 1910.302 through 1910.308. Job sites and third party contractors have a responsibility to maintain safety standards, especially when it comes to electrical work. These guidelines are in place for the workers' protection. However, some job sites aren't up to code like they should be, and that's when serious accidents happen. 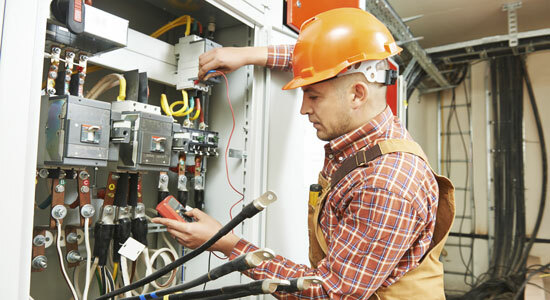 Electrical accidents can have severe, long-lasting effects. Many affected by these accidents are unable to return to their original line of work and face countless hours of rehabilitation and medical treatment. Electrocutions are electrical accidents that result in the death of an accident victim. If your loved one was working on a job site and electrocuted, we can help you understand who is entitled to compensation for this tragic accident. Living with the sudden passing of a family member is confusing and devastating, especially when it was an accident caused by the negligence of another. For more information, visit our page related to wrongful death after a job site accident. For over 35 years, Edgar Snyder & Associates have been helping injury victims collect the compensation and benefits they deserve after an accident. If you or a loved one has been electrocuted, contact us for a free consultation at 1-866-943-3427 or complete the form located in the top right corner of this page. We're available 24/7 to help. We have the resources, experience, and tenacity to stand up to big insurance companies that are trying to force you into a low-ball settlement. Don't get it alone. Call us today.